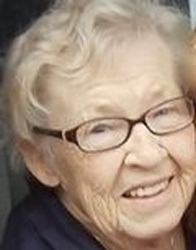 Olga (Zenzel) Hess, 88, a Coaldale native, died Saturday, June 23 at St. Mary's Catholic Home in Cherry Hill, NJ. Mrs. Hess had lived in the Philadelphia area since World War II when she left her hometown to work as an inspector at Proctor Electric, which had retooled to concentrate on bomb fuses instead of small appliances. She was a 1942 graduate of Coaldale High School. The daughter of the late Michael and Justine Zenzel, she was the widow of Fenne M. Hess, Jr., an editor at the Philadelphia Inquirer.After her husband's death in 1967, she began work as the cook at St. Peter Celestine Rectory in Cherry Hill where she remained until her retirement at age 80. She was predeceased by seven brothers and sisters. Mrs. Hess is survived by a daughter, Mary Anne Hess, and her husband, Dan Freedman, of Silver Spring, MD; a daughter, Christine Hess, of Houston, TX; five grandchildren: Sasha Johnson and her husband, Mark Murray, Jacob and Andrew Freedman and Max and Elizabeth Pickens; a great grandson, Caleb Fenne Murray; two brothers, John Zenzel, husband of Rose, of Coaldale, and Andrew Zenzel, husband of Connie, of Mt. Laurel, NJ; and many nieces and nephews. Services: A memorial Mass is planned for July 25 at Christ Our Light Church (formerly St. Peter Celestine) in Cherry Hill. Contributions may be sent to the Olga Zenzel Hess Memorial Scholarship Fund, 9619 Flower Ave., Silver Spring, MD 20901. The fund will assist students at Panther Valley High School who wish to pursue higher education.